Rick Anderson is an experienced communications professional who has held senior positions at some of the country’s leading public relations firms. 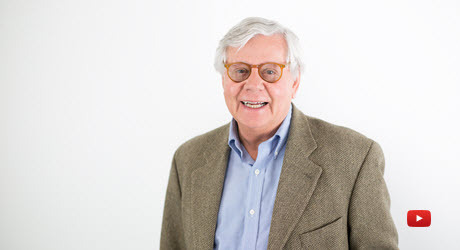 Over his 40-year career, he has represented a broad range of organizations from multi-national corporations to emerging growth companies and non-profits helping them enhance their business and reputation through results-driven, public relations and marketing communications. He has helped numerous companies prepare to go public and is an expert in crisis communications. Anderson started his own communication consultancy, R.L. Anderson & Associates, in 2006, after serving as senior vice president and partner in the corporate and business communications group at Fleishman-Hillard, one of the country’s largest communications consultancies. He was the co-chair of the firm’s Financial Communications Practice group and responsible for corporate communications, investor relations and financial media clients. Previously, he was a senior vice president and co-founder of Thomson Financial’s Global Consulting Group, a leading financial communications firm. He has a strong background in financial services and technology having worked with major banking, asset managers, hedge funds, insurance and financial technology companies including Citicorp, SunGard, Amdocs, Aetna, Nationwide, Broadridge Financial, T. Rowe Price, Ernst & Young’s financial services and TAS practices, Interbank FX, MF Global, Fidelity Bank and dozens of smaller banks and thrifts. He is well versed in helping companies work their way through challenging shareholder, investor and corporate governance issues. Anderson has participated in more than 35 initial public offerings and spin-offs and has worked with companies to set-up their internal IR programs as well as serving as outside IR counsel to senior management. He assisted Agilent Technologies in its $8 billion spin and IPO from Hewlett-Packard; the following year, he helped guide Krispy Kreme through the most successful IPO in 2000; and in 2001, he worked on two of the largest IPOs that year – AFC Enterprises and Peabody Energy. Anderson served as assistant secretary of economic affairs and ombudsman for the Commonwealth of Massachusetts from 1972 to 1978 and created the Work Employment Program for Governor Michael Dukakis, which became a model for national welfare reform. He began his career with Textron Inc. as an assistant to the vice president of corporate relations. A graduate of Brown University, Anderson holds a MA in urban affairs from Boston University. He is a longtime member of the National Investor Relations Institute and served as the section chair for the PRSA’s financial communications section. He resides in Brooklyn, New York, with his wife Caroline, and dog, Bella.